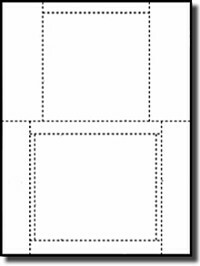 100 Jewel Case insert or cover is made from White 60# Card Stock. 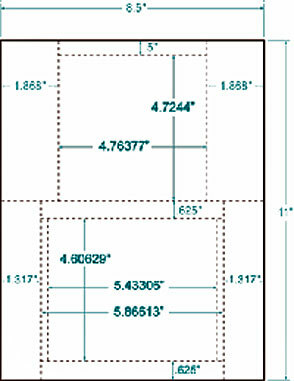 It is perforated and scored as shown to be Laser or Inkjet printed and inserted into CD Jewel Cases. Uncoated Card Stock, Black or Color Laser, and Inkjet Printable on Both Sides.